Habits – they are a hard thing to create, and also a hard thing to break! In my line of work, I hear it all too often from people that they want to break a bad habit – quit smoking, stop drinking, eat less junk food, get off the couch and exercise more. But for one reason or another, it becomes just that – words. Why? Because it’s one thing to say you want to do something, but another entirely to actually do it – and not just once or twice, but consistently. It’s hard. I get it. It’s not meant to be easy. We all get off track every now and again – but the difference is how we react when we fall off. Do we throw in the towel and give up, or do we acknowledge that we’ve had a slip up, move on and keep going? 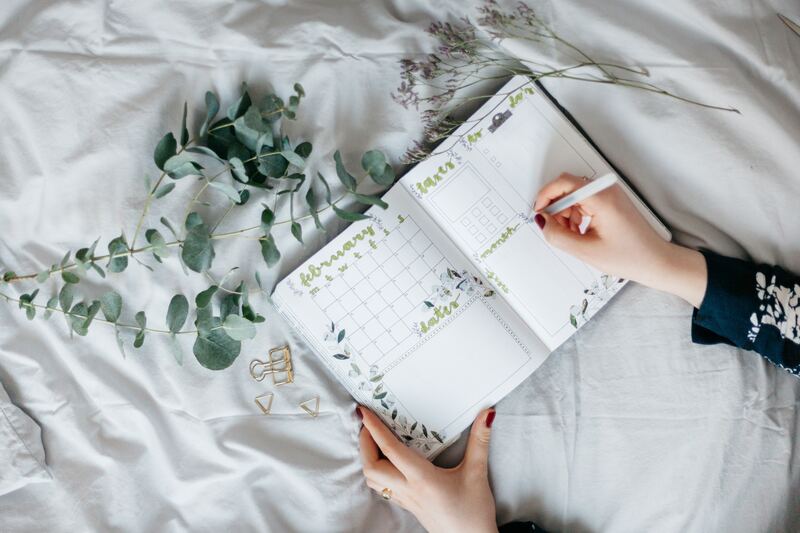 When it comes to forming new habits, or breaking old ones, there is no quick fix or magic solution (despite the numerous articles out there that suggest you can form a new habit in 21 days!). It all comes down to the individual person. But, there are a few things you can do to make it easier for yourself. Set achievable goals – start small and work your way up. If you try to do everything all at once, you’re setting yourself up for failure from the get-go. The same goes if you want to break a bad habit – you can’t just quit cold turkey as you’ll be less likely to stick it out. Take it one step at a time, and reward yourself each time you achieve something along the way. It will make getting there that much easier. Stick to something you enjoy – that way, you will be more likely to see it out and make it become an everyday part of your life, as opposed to just a quick-fix. You will WANT to change, rather than just doing something because you HAVE to. Be consistent – hold yourself accountable. Write down your goals on a piece of a paper, stick them on the fridge and remind yourself what you’re working towards. Find a buddy – if you’re less likely to get there on your own, find someone who can go along the journey with you and motivate you. Be kind to yourself – don’t beat yourself up if you slip one day. Just get back on the horse the next day. Negative thinking creates negative behaviour. Focus on what you CAN do, rather than what you CAN’T do. So, how do you put this into practice? First, start by picking the right exercises – ones that will not only work the right muscles, but that you actually enjoy doing, as you will be more likely to keep doing them. Start slow and work your way up. Do 5 sets one day, then 10 the next day, then 15 the next. Focus on your technique, train your mind to use the right muscles. Reward yourself every time you hit a new goal. Write it down to remind yourself how far you’ve come. Pick a weight size that you’re comfortable with – don’t pick a 20kg weight if you know you’ll never be able to lift it. Start with 3kg, then once you’ve mastered that, move up to 5kg, and so on. Be consistent. Do your exercises at the same time, in the same place every day. It then becomes a ritual. And, most importantly, don’t give up. Make sure you’re having fun along the way, because once you stop having fun, you stop doing it. You can apply this philosophy to any part of your life, really. What new habits are you going to form this week? Why not make health and fitness one of them? Join my Fit Living in Five Minutes a Day group on Facebook for more great health and wellness tips, and join a tribe of like-minded people all striving towards the same thing – a healthier and happier life. She is a corporate businesswoman, a mum and owns her own business - Kappatilize Fitness. She recently launched a Womens Tribe for women who are overwhelemed and want to learn how to live their most authentic self by focusing on their health and well being through fitness, nutrition, natural living and mindfulness. She has worked in the corporate and consulting world for 15 years, focusing on how people shift their mindset when faced with challenging work environments. She is a successful motivational speaker and has even authored a chapter in the best selling series "She Made it Happen: 22 inspiring stories from female entrepreneurs around the world"
She is also the owner of Kappatilize Fitness - a fitness, health and wellness business, where she works with both men and women to help them live the best life they possibly can, with a focus on healthy living through exercise, nutrition and wellness programs. She is a qualified personal trainer, bootcamp coach, nutritionist, weight loss coach, food and wellness coach, NLP coach, Mindfulness Coach, Change and Life coach. When she is not working or running her own business, she is spending time with her young daughter, husband and step-children.